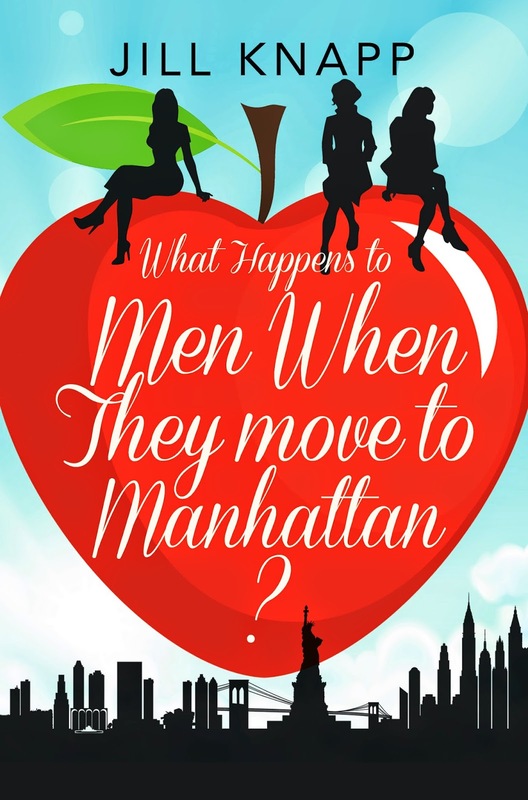 Home of a Book Lover: Cover Reveal: What Happens To Men When They Moved To Manhattan? Cover Reveal: What Happens To Men When They Moved To Manhattan? What is worth the chase? Life in the city gives 23 year old Amalia Hastings a ride she is not expecting... As she tries to find her way on the little island that never sleeps, she discovers she has a harder time navigating through life then she does the streets of Greenwich Village! Amalia thought she had everything she wanted – a new apartment in Manhattan, a first-rate education at NYU, a group of fabulous friends and Nicholas, a boyfriend who she once believed was her soul-mate. But somehow, it isn’t enough. Amalia is essentially torn between two men, and Michael is torn between two women. Her best friend Cassandra is being strung along by her "boyfriend", Bryce, and even her friend Olivia is having a secret relationship! After getting hopelessly lost searching for love in all the wrong places, Amalia finds herself asking – what happens to men when they move to Manhattan?! A native New Yorker, Jill Knapp is the author of the New Adult series What Happens To Men When They Move To Manhattan?. A former adjunct professor of Psychology at her Alma Mater Kean University, she received a Master’s degree in Psychology from the New School for Social Research in Manhattan. A regular contributor to the Huffington Post and The High Tea Cast, Knapp writes about entertainment, dating, and the differences between city and suburban lifestyles. HarperImpulse, a division of HarperCollins Publishers, is an exciting new range of romance fiction brought to you from the women’s fiction team at HarperCollins. Their aim is to break new talent from debut authors and import the hottest trends from the US, bringing to market the very best in romance. Whether that is through short reads for your mobile phone or epic sagas that span the generations they want to proudly publish romance fiction that gets everybody talking.